Join fellow professionals for mimosas, off-the-record insights and unmatched networking with NYC's top women in media, entertainment and tech. All genders are welcome! Please take advantage of some of these exclusive discounts to attend. Registration, agenda and info can be found at www.melinc.com/ny (click the "Enter Promotional Code" link on the site to enter your discount). Sessions include a Q&A with JUDY MCGRATH, the Founder and President of Astronauts Wanted and former Chairman-CEO of MTV Networks. The half-day conference gathers speakers, sponsors and attendees from ABC News, AMC Networks, Assembly Entertainment, The Associated Press, Astronauts Wanted, BRaVe Media Ventures, CBS News, Geek Girl Rising, go90, Google, HBO, National Geographic Channel, NBCU, New Form Digital, NYC Mayor's Office of Media and Entertainment, PBS, Tribune Media, Turner, United Talent Agency, Vertebrae VR, VH1 and more. A true Double-Header Evening! All for $20! 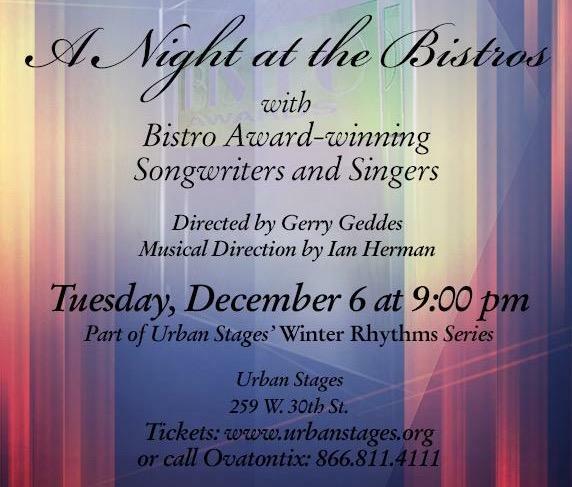 TUESDAY, DEC. 6 at 9 pm at Urban Stages, 259 W. 30th St.
part of its Winter Rhythms series. 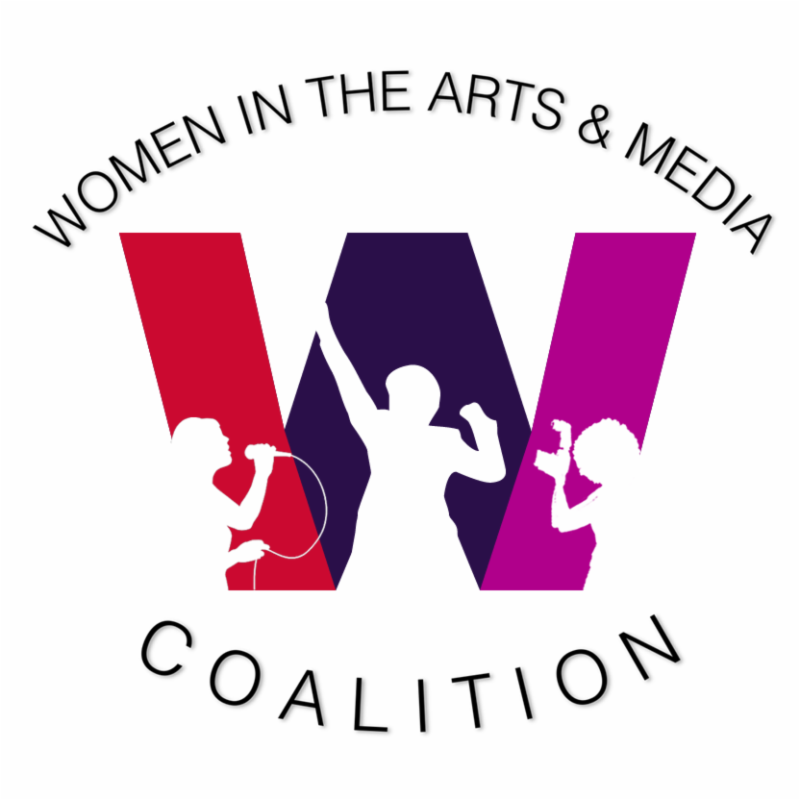 The Women In the Arts and Media Coalition is sending out a call for submissions for our new series: Conversations In America. This first artistic conversation is called "Under the Gun." Submissions will be accepted until January 22, 2017 with a performance date in March. "I know we are a smart enough nation to figure out how you protect responsible gun owners' rights and get guns out of the hands of people who shouldn't have them." We will host a gala evening to display, discuss, enlighten and begin to mutually develop a way to dialogue the many sides of this issue that affects all of us daily. We are seeking to construct an understanding and develop movement on this issue through our art. How can we talk away the fear - on both sides of the discussion - and find a place of understanding that supports all of our rights? We all acknowledge that this is an uncomfortable talk to have. How do we start the conversation without shutting each other down? "Art has the power to build connection and empathy"
We are looking for: Short plays and Monologues, Short Films, Music, Poetry, Dance Pieces, Paintings, Photographs, Performance Art, and written and performed pieces with a running time of 10 minutes or less. A female-identified member of one of our full or affiliate member organizations must submit and be the primary engine of the project submitted, but it may have any additional collaborators, female or male, members and non-members. The deadline is Sunday, January 22nd at 11:59pm. Yup! You have a little over 2 months. You, too, are under the gun. What are you waiting for?